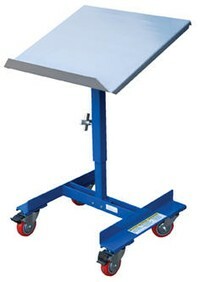 Light weight table allows easy movement from one work station to another. It provides bend-free access to parts at the workstation. 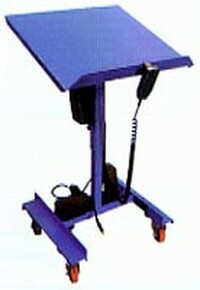 It has a adjustable height crank mechanism and the table tilts from 0 to 30 degrees. 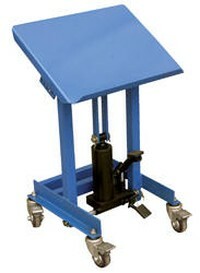 This durable work station is designed to be an economical way to position material handling parts to proper working height. 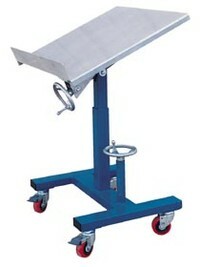 Light weight design facilitates ease of movement from one station to another. Telescoping shaft with locking snap button allows quick and easy adjustment. 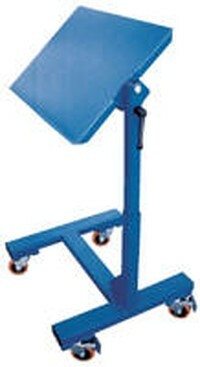 Ideal for either sitting or standing applications at work assembly areas. Lip retains plastic bins and organizers. Spring loaded detent controls the tilt angle. 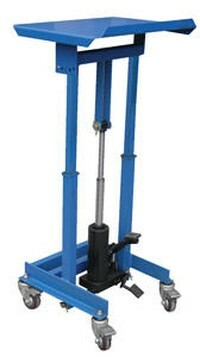 Hydraulic foot pump with a telescoping cylinder provides a 14" service range.